List with Mr 1 Percent. Please contact us for a No obligation , no commitment Listing presentation . You will be surprised by our sales package !! Here is a small List of What you get "For Less". All of our listings are on The Multiple Listing Services (MLS) & are accessible to anyone & everyone 24/7 each & every day on the public Mls Websites. I'We are full Members of Toronto Real Estate Board & Cambridge Board + Being a full Member of the Matrix System all of our Listings are additionally featured on Kitchener,Waterloo Board, Guelph Board, Simcoe Board, Brantford , Niagara Falls Board , Oakville/Milton Board & Burlington/Hamilton Board. So your listing is exposed to all the Buyers & there agents who are looking for a homes. That means that your home is visible to close to 85,000 extra agents who are working in those areas and are working with qualified buyers. Pictures do speak a thousand words and Virtual Tours maybe 10000. In Todays age most of the potential buyers like to see the pictures of the property first before they decide to view the property. Mr 1 Percent has Hired the Top Professional Photographer in The area who takes the top quality Photos of your property and also puts together a gorgeous Vitrual Tour & Video to go along. Every Home Listed With Mr 1 Percent Gets unlimited amount of Colorful Feature sheets on High Gloss Photo Paper , With Pictures & Extra Description of the property for the Potential buyers to take with them. Presentation is Always the name of the game & I offer you our professional advice about how to stage your home properly so it can appeal to the Masses . In Today's Internet age where most people are using the Internet to shop for anything & everything, I do provide a very Extensive web advertisment Package. All of my Listings are advertised 24/7/365 on my website & multiple other Websites till the day they get sold. My website is on the top pages of all the major search engines and also advertise on Kijjiji tc. I also do put your Virtual Tour with your Home Address as the First post on Google Search. A dedicated website just for your property with its own( .com address). Syndicated listing with over 300,000 other memebers of my Network. I am a member of one of the largest & the most extensive Syndication Network in the world & my Website , Consistently stays in the Top 10 ranks in the Province of Ontario (48 months & Counting). What it gives you is the added exposure on over 200+ real Estate Related Websites & Major Search engine exposure & over 3334,000 Syndication Partners. Your home is listed as the Featured Property on Point 2 Agents website in your Neighborhood and close communities. As Many open Houses as Possible, with advanced advertising of the open houses till your property is sold. 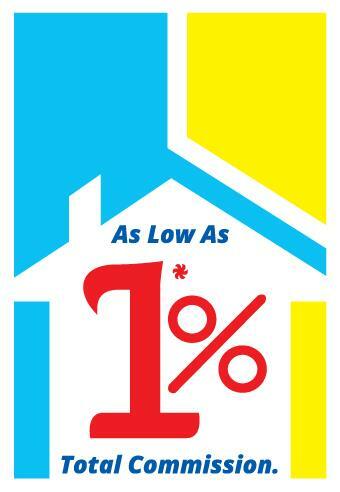 My Signs are professionally Installed on a Wooden Post and are Bigger, Unique & are more Attractive & Visible in Yellow, Red & Blue Colors & The Attractive Big 1% Which gets Noticed . 1000's of Flyers(Postcards & Door Hangers) delivered Door to door in Yours & all of the surrounding neighborhoods marketing your property along with the other ones. Thus Providing maximum Exposure within the community. In todays hightech fast paced world many clients do not have the luxury to be meeting in person for all the documents signing occasions. I do offer the most secured Digital signing platform (DOCUSIGN) for all the clients who prefer to sign digitally a part from the traditional scanning/emailing & in Person. I Sell or Lease almost 100% of all of my listings & am fully confident that I will sell your listing. With me You never have to feel like getting stuck in a dead end contract. All of my Listing agreements come with an Easy Exit Clause with which anytime you want to pull your house out of the market you can do it or anytime you feel like you are not getting the services I promised you then you can cancel the listing agreement anytime with no questions ask. In Todays age it will be a true crime not to market any property on the Social media . All of our Listings are featured on Facbook Pages, Instagram, Twitter, Google + & Linked In. Please Call me at 519-860-7554 or 226-887-3836(Waterloo Region) to get additional info or to Book a No Obligation Listing Appointment with Real Estate Area Specialist. 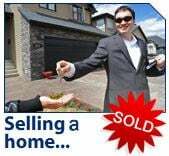 Selling a Home in Cambridge, Kitchener, Milton, Mississauga & Brampton. Please contact Us if you have any questions about selling your Waterloo Region Or Peel Region home.